Tuesday, February 27th, 2018 at 8:42am. There are many different kinds of exotic animals to hunt. Some people spend thousands upon thousands of dollars to travel to distant lands where they can hunt a particular kind of prey, but that is not the only way to have a truly unique hunt. There are plenty of unique animals for hunting in the United States, and one of the best hunts you can go on can be done in Idaho. If you have caught the hunting bug, you might be looking for something really special to spice up your hunting habits. They are a little difficult to get ahold of, but with the right tags, wolf hunting in Idaho is absolutely possible and here are some things you will probably want to know before you get started. Wolf hunting is going to take you to some pretty remote places. Monday, February 19th, 2018 at 2:09pm. It's not hard to find fun parks in the Treasure Valley. The number of delightful and unique parks in this area of southern Idaho certainly helps the region to live up to the nickname of “Treasure Valley”. Our many parks are certainly “treasures”, as they offer activities and beautiful landscapes for locals and visitors alike to enjoy. Thursday, February 15th, 2018 at 11:36am. WILLOWCREEK GRILL, located at 2273 S. Vista Ave., creates its diverse menu by fusing flavors from cuisines from all over the world. The casual and laid back atmosphere of this unique restaurant offers everything from nachos to crab cakes to Asian style chicken lettuce wraps, and burgers. Entrées such as cedar fired salmon and beer battered fish and chips are moderately priced, and Willow Creek also offers an à la carte menu and sushi combos. Dine at Willow Creek Grill on a regular basis and you can feel as if you have traveled the culinary world. Sunday, February 11th, 2018 at 3:12pm. 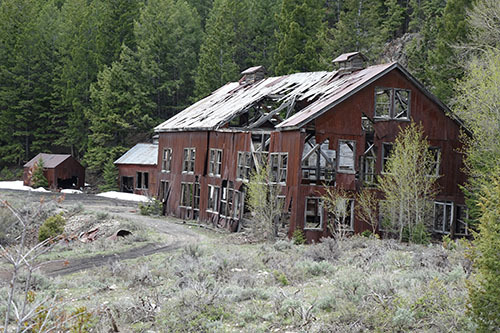 Historic Mining Towns of Idaho? Wednesday, February 7th, 2018 at 2:29pm. Slightly before California was obtained by the United States, gold flakes were found in the American River by a man named James Wilson Marshall. It took a few months for others to catch wind of the discoveries being made in that far, western territory, but once word got around, a flood of people hitched up their horses and oxen and travelled west to find fortune for themselves. This was the beginning of the California Gold Rush, though it was not the end of migration for the purpose of hitting it rich. Friday, February 2nd, 2018 at 5:00pm. For many hunters, drawing a moose tag is one of the most exciting moments of the year. 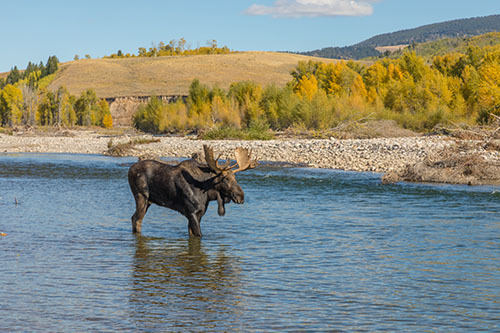 Moose hunting in Idaho is a controlled hunt, and in order to apply to hunt this trophy species, you will need to have an Idaho hunting license and apply to Idaho Fish and Game between April 1-30 for a controlled hunt tag. If there are tags left over which have not been assigned, you can apply for the late draw, usually held in August.